The weather in Ireland is always a bit touch and go but for the brief periods when the rain finally goes away and the sun comes out, there’s nothing better than grabbing your knife and fork and heading outside. You might also want to bring a blanket and a heater but these things will only serve to enhance your enjoyment of dining al fresco. Whether you want to enjoy some people watching or some beautiful scenery, here are some of the best spots for it. 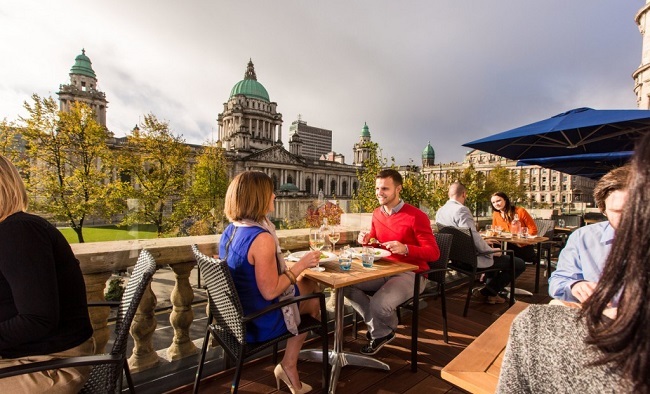 The Rooftop Bar & Terrace at The Marker Hotel – City hotels have to build high so views don’t get much better than this. Serving taste plates and brunch throughout the summer and a great spot for cocktails. 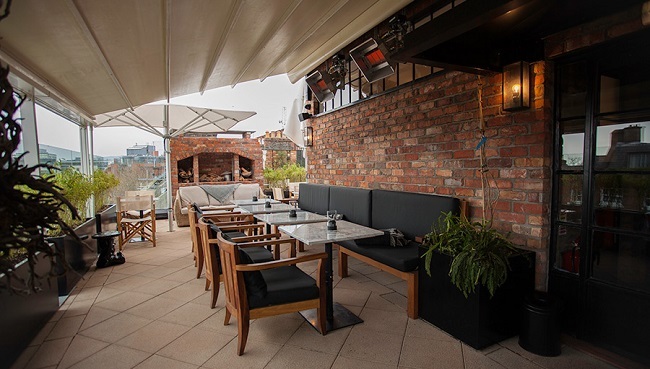 The Rooftop Terrace, Sophie’s at The Dean – A more urban feel in Sophie’s as the stunning views are of Dublin City. Enjoy Sophie’s signature Italian cuisine out on the terrace or sample some of their BBQ fare, fresh from the pit. Winter Garden at Fade Street Social – Enjoy a wide range of flatbreads and cocktails perched on top of Dublin’s Creative Quarter. A hidden oasis in the heart of the city, the outdoor Winter Garden is a great spot to relax away from the crowded streets. Marco Pierre White’s Courtyard Bar & Grill – The unique courtyard here is a haven during the summer months. Relax in the cosy couches and chairs and soak up the sunshine with a drink in your hand and a smile on your face. 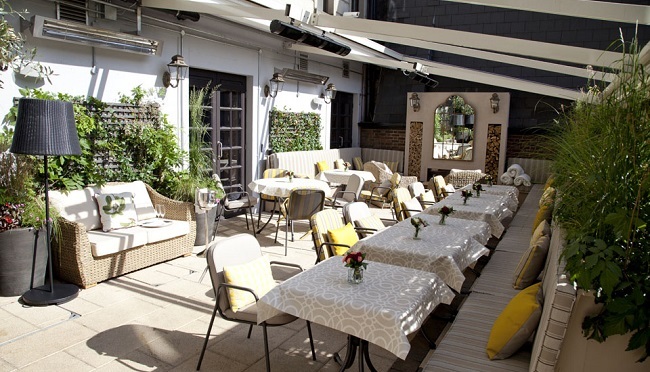 Suesey Street – Tucked away on Fitzwilliam Place is a stylish little sun trap. 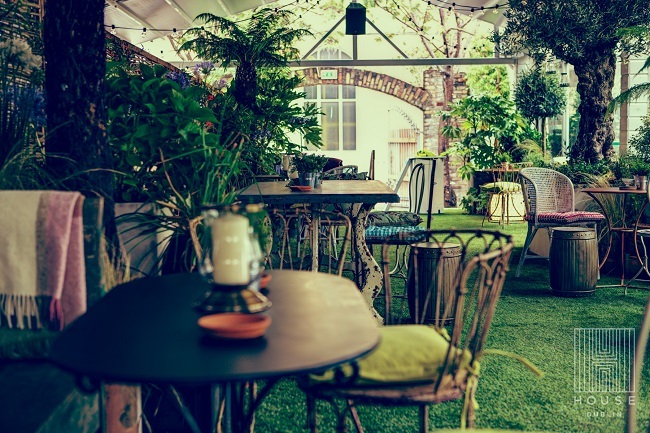 The perfect place to enjoy modern Irish food while sipping a glass of bubbly or a bespoke cocktail, the terrace at Suesey Street is a real hidden gem. House – Nearby on Leeson Street, House has created a gorgeous outdoor area with a quirky garden and a stylish conservatory. 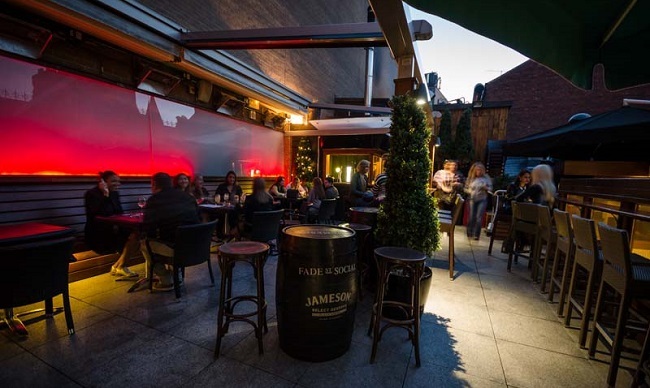 Ideally located for after work drinks and a bite to eat, make the most of the Dublin sunshine in this city centre garden. 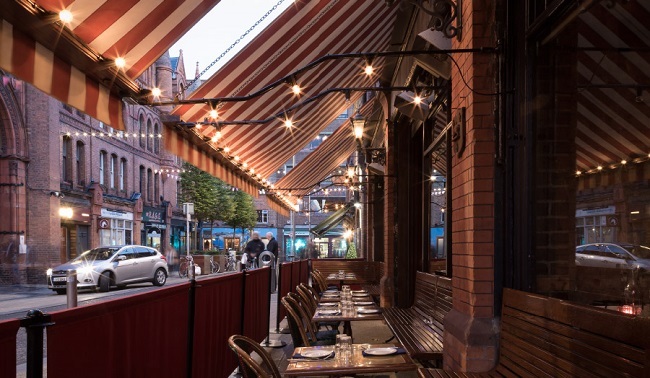 Angelina’s – Down at bustling Baggot Street, you can step away from it all and relax on the terrace at Angelina’s. Sitting right on the canal you can watch passers-by on the bridge while you relax with some authentic Italian food and a glass of wine. Residence – Now fully open to the public, the Garden Terrace at this former private member’s club in the heart of the city is still one of the best places to escape the hustle and bustle. Soak up the sun with delicious food and great drinks in the secluded surroundings. l’Gueuleton – Take some time out of the sun and do some people watching on Fade Street as you tuck in to some authentic French cuisine. Sip on some Old World wine as you watch everybody else rush by. 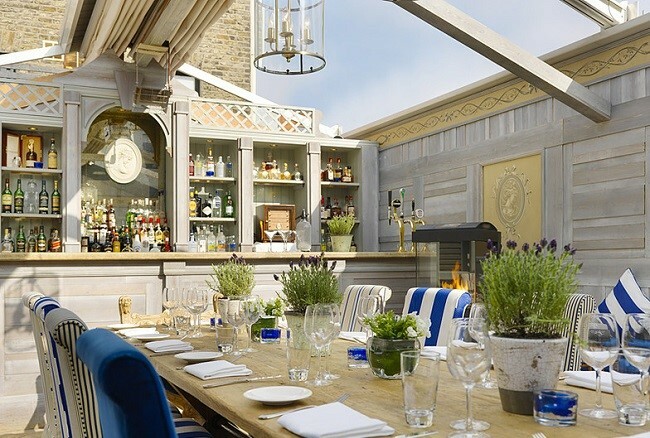 Wright’s Findlater – There are several options for dining outside in Howth but if you’d rather be looking at the pier than eating on it, the Sky Bar at Findlater’s is the place for you. From the second floor you get spectacular views of the bay and some great seafood to boot. Fallon & Byrne, Dun Laoghaire – The People’s Park is a great attraction when the sun is out. Close to the sea, it is a little retreat with fountains and a playground. Indulge in a sharing platter and a glass of wine from the best seats at the top of the park. 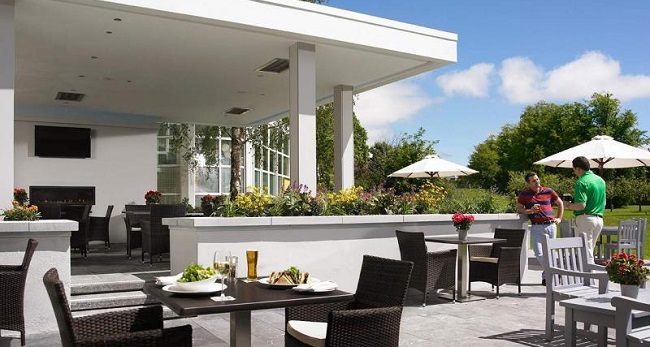 Castlemartyr Resort – The five star treatment gets the wow factor when the resort is bathed in sunshine. Choose a seat on the terrace for an afternoon tea experience or a top quality lunch looking out over the croquet lawn and manicured gardens. 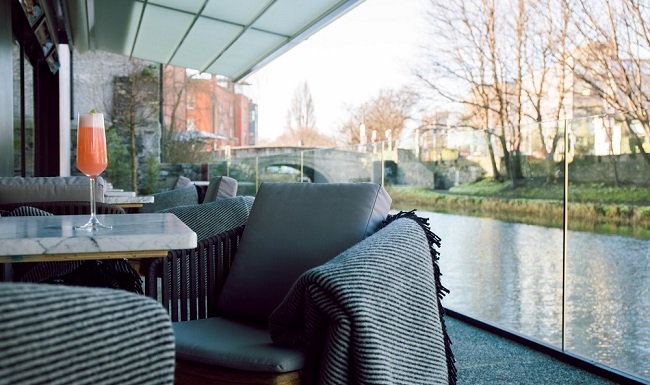 Terrace on the Weir at the River Lee Hotel – Hanging out over the River Lee, you won’t get closer than this. A popular spot at night time for drinks and socialising, the terrace gets a great amount of sunshine during the day and is the perfect spot to relax and enjoy some food. 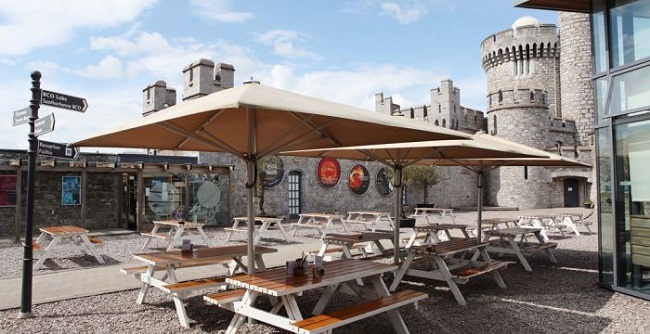 Castle Café Restaurant – Not quite in the shadow of Blackrock Castle, when you dine her you are somewhere special. With a bit of sunshine, the castle behind you and a good honest plate of food in front of you, this is a little corner of paradise. 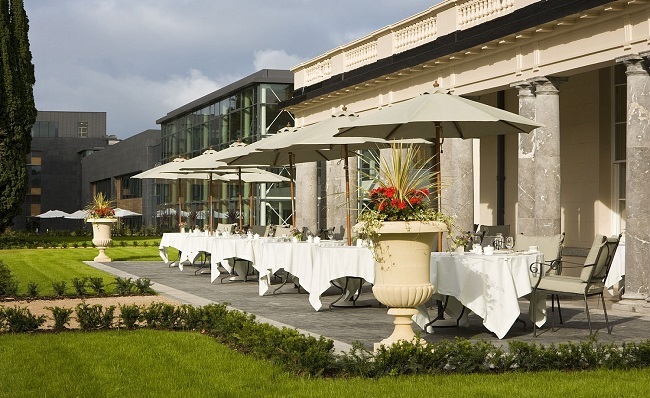 Veranda Terrace at the Radisson Blu – This outdoor area was made for the good weather of the summer months. 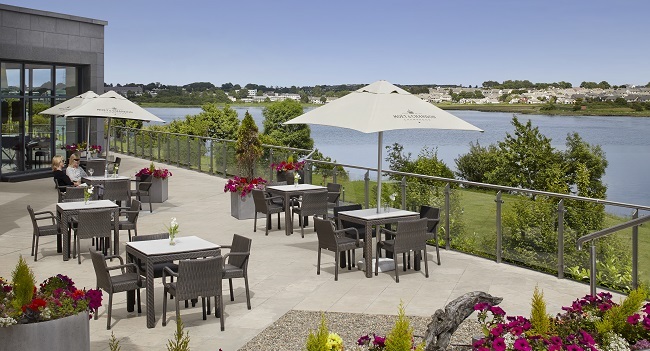 With a new barbeque menu available, you can enjoy all the delights of summer with some of the best views in Galway. 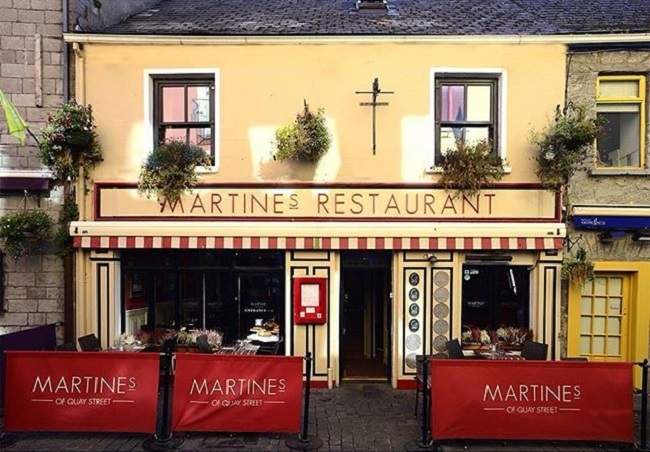 Martine’s Restaurant & Wine Bar – Quay Street is a great spot for watching people come and go in the Galway sunshine and Martine’s is in a prime location. With great local produce and a wide selection of wines, you can while away several hours sitting right on the street. 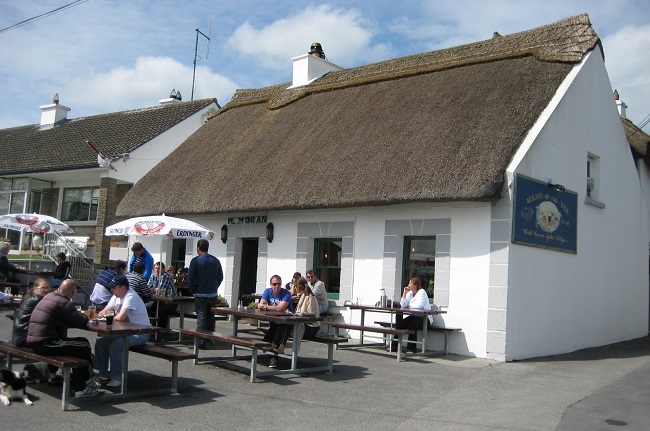 Moran’s Oyster Cottage – You can get a real taste of Ireland here with fresh local oysters and seafood which perfectly complement the stunning views out over the wier. 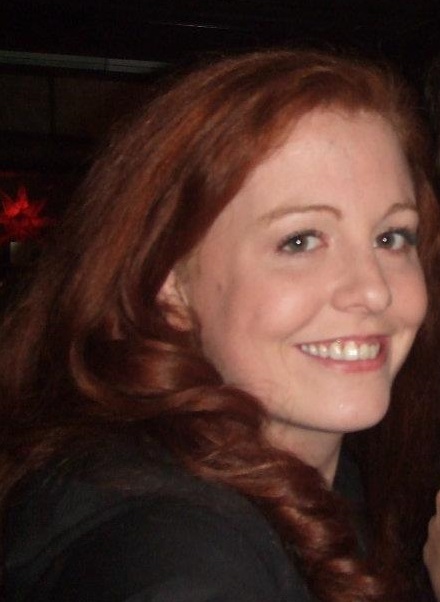 Moran’s have been serving tourists and locals for over 250 years so you can bet they know what they’re doing. Brook Lodge – Their food is renowned for its organic nature and great flavours and the grounds are spectacular with a running brook and a chapel sitting across it. 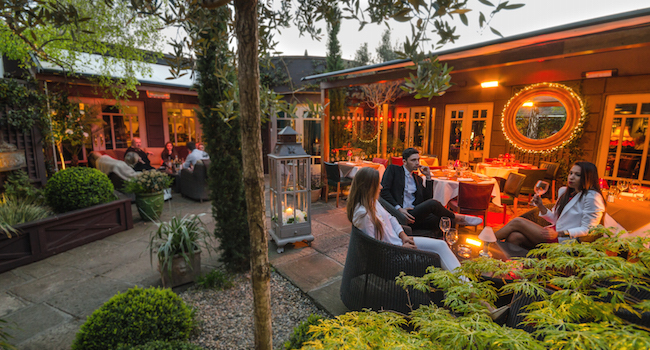 Add sunshine to the mix and the al fresco experience at Macreddin Village is close to perfection. 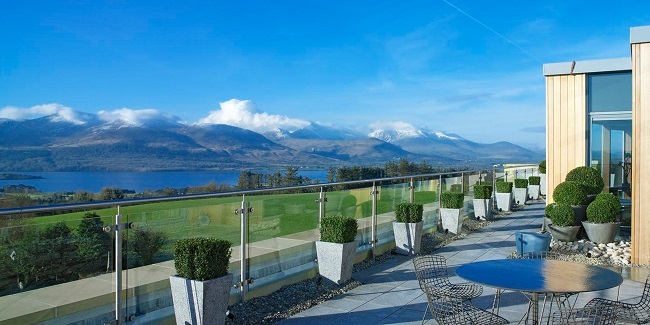 The Terrace Bar at Aghadoe Heights Hotel – The bustling bar opens on to one of the country’s most striking views, the Lakes of Killarney. If you are lucky enough to be blessed with some sunshine while you are in this part of the country, a meal or a drink out on the hotel balcony is a unique experience. 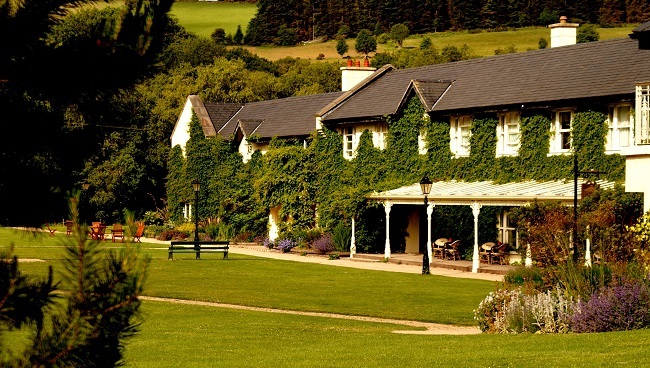 The Killarney Park Hotel – Looking out over the hotel’s gardens, the terrace is the latest addition the the hotel’s Garden Bar. With great food options and a barbeque pit, you will feel a world away from modern life in this relaxed setting. 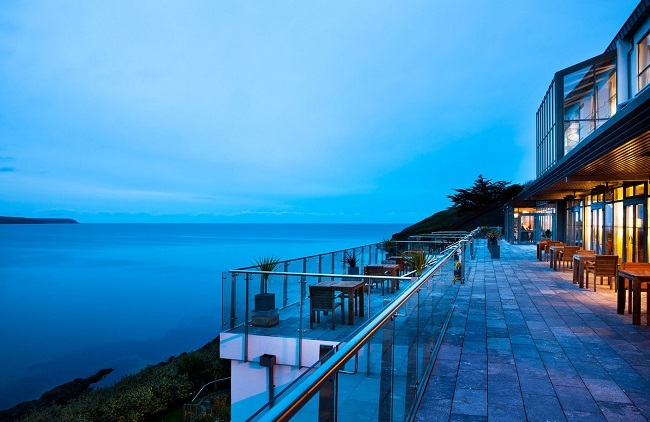 Cliff House Hotel – When you combine award winning food in a five star hotel with a terrace that looks out to endless sea and a good stretch of sunshine, it can be impossible to leave. 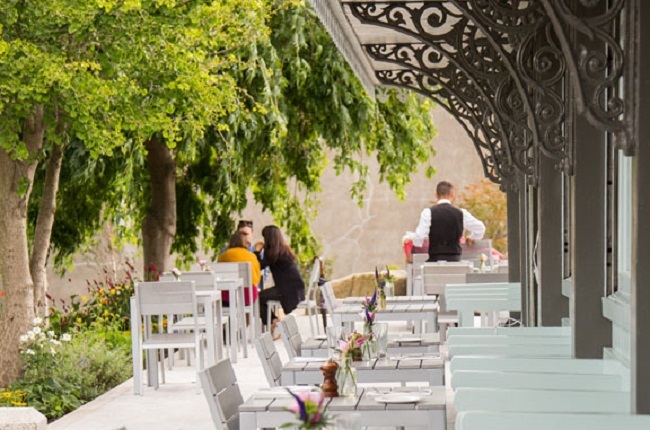 Diners will be clamouring to get a spot on the beautiful terrace during the summer months. The Terrace at Robinson & Cleaver – This al fresco area looks out on to one of the city’s most iconic landmarks, City Hall. From the balcony you can engage in a spot of people watching while enjoying the modern urban fare and ambience. 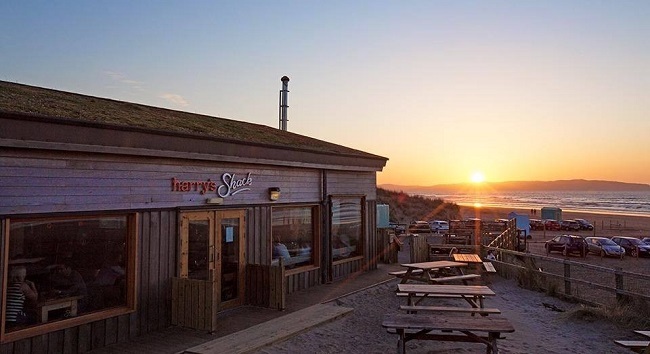 Harry’s Shack – Kick off your shoes and stick your toes in the sand. Nothing says summer like the beach and in Harry’s Shack you are lucky to be sitting right on it. The amazing seafood and great service makes the whole experience unforgettable.